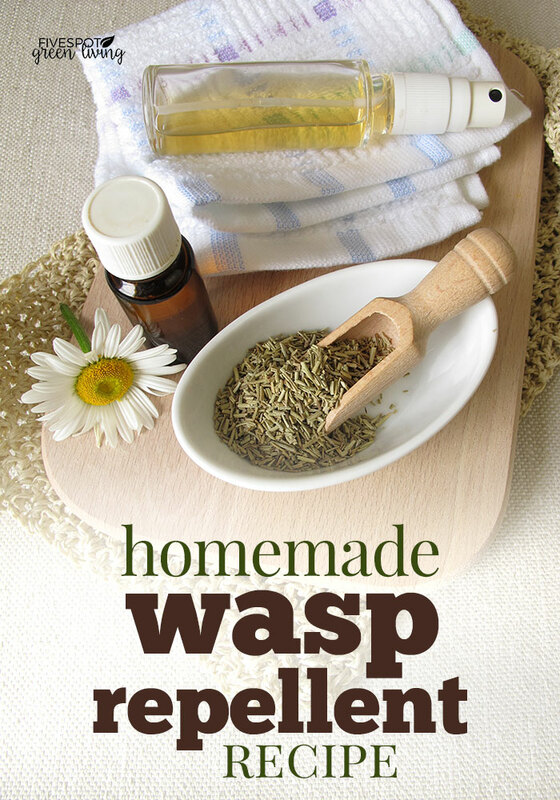 Home » Homemade Wasp Repellent – Proven Effective! Do your kids freak out when they see a wasp flying around outside? My oldest does and it makes me crazy! Wasps are creepy and the thought of them flying around with a chance of stinging makes me shudder. They are mean creatures and it doesn’t take much to set them off. This amazingly effective homemade wasp repellent was proven to work in a Pest Management Science study through the National Center for Biotechnology Information. 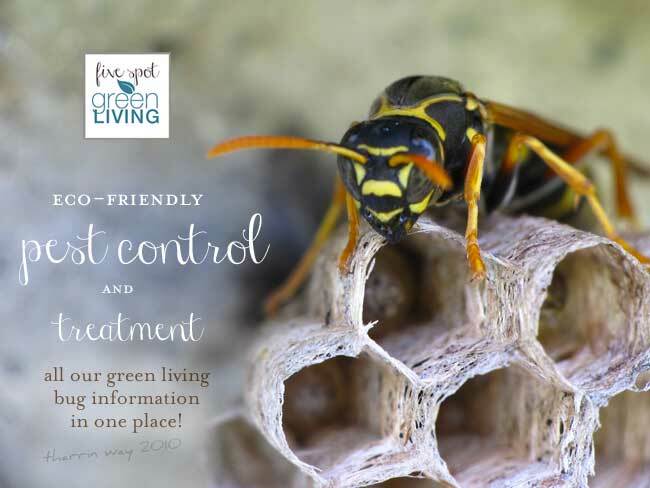 Check this out for more information on Natural Pest Control. When the warmer weather arrives, the bugs come out full-force. Most of the wasp repellents in the stores are made with chemicals and very harmful ingredients that can be very dangerous to have around pets and children. The wasp’s body includes a sac of venom attached to a smooth stinger. When a bee or wasp stings, the sac contracts, pumping venom into the flesh. Wasps sting to defend themselves. 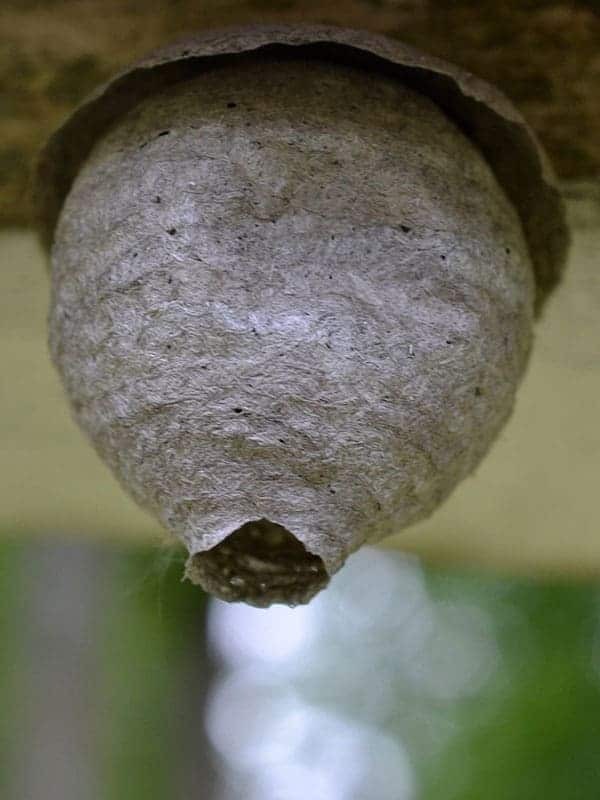 If a female wasp feels her home is under attack or threatened she will protect the wasp nest and sting. Wasps also simply get annoyed. 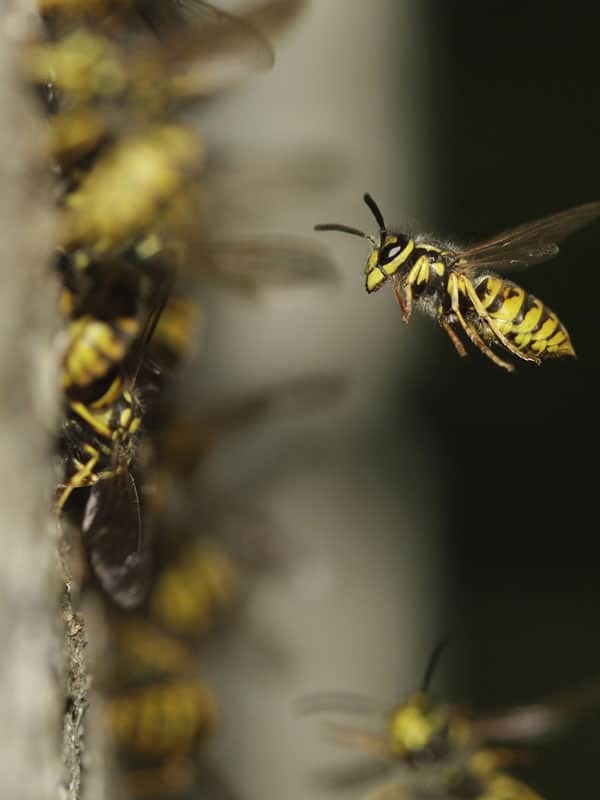 The constant waving of arms and newspapers while trying to get rid of a wasp can make it very annoyed and feel threatened. 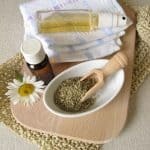 So when I found this study showing how effective essential oils are for repelling wasps, I felt like I was Charlie Bucket with the golden ticket! This is just amazing information to have to keep wasps away. I really don’t want to have to kill the wasps, because they actually are beneficial. Yup, seriously folks! 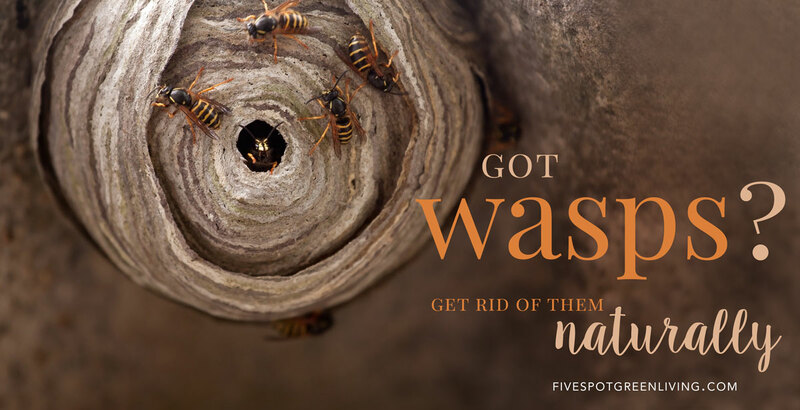 Read about this here: How to Get Rid of Wasps. 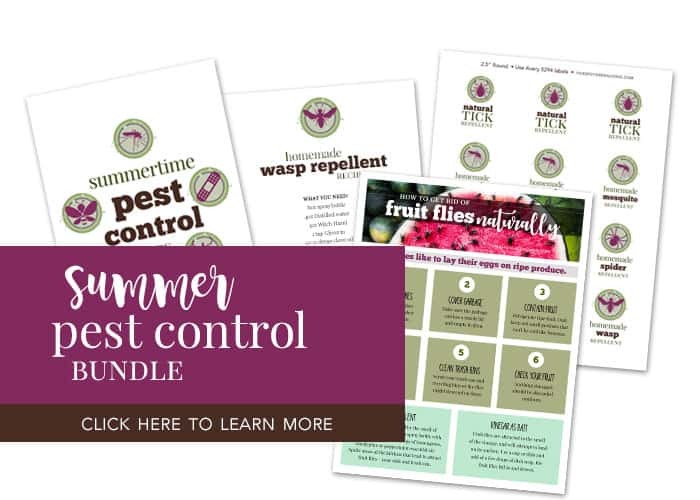 These repellent essential oils and their active compositions have great potential for efficient, environmentally sound semiochemical-based(1) IPM (Integrated Pest Management) of pestiferous vespid wasps. Two essential oil mixtures TOTALLY blocked the attraction of vespid workers. Did you know that’s another term for wasps? I love that the oils merely block the attraction, rather than hurting them. You can just keep them away from you and your family and the wasps can go off and do what they need to do in nature. clove, geranium and lemongrass AND clove, geranium, lemongrass and rosemary. Add essential oils. The more oils you use, the stronger the spray will be. 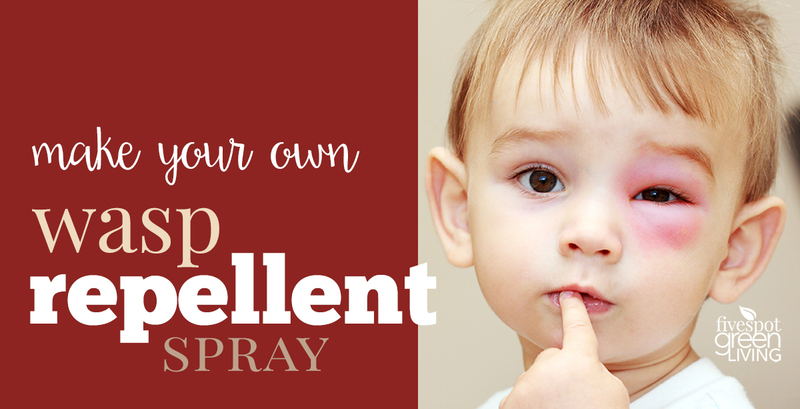 Try this easy and quick homemade wasp repellent recipe with essential oils that has been proven to work! (1) Semiochemical Definition: A pheromone or other chemical that conveys a signal from one organism to another so as to modify the behavior of the recipient organism. Yeah, my daughter gets scared every time whenever she sees flying wasp. I will try your solution. It looks helpful. Not sure how rosemary will deter. My mom has a plant on the deck and the wasps love it.